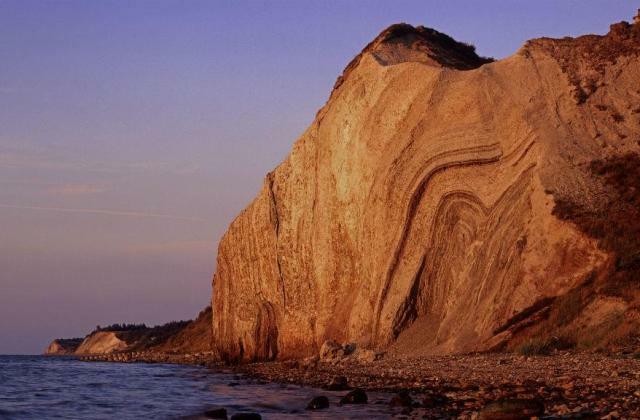 Møn in Denmark boasts some of the country's greatest natural wonders, from lush forests to sweeping beaches and pristine chalky white cliffs. Popular as a hiking and stargazing destination, the island has also in recent years been attracting a new generation of residents who are interested in adopting a more rural lifestyle. They include Emile Carlsen, the creative force behind Møn Sessions, a music and video project featuring Danish acts performing in the countryside near his home. Find out more. "Geology is always about time, and so is music and, very frequently, so is the novel." Barbara Sjoholm explores the island of Fur, in Denmark, where time is laid out in layers of rock. The Kingdom of Elleore is a micronation in Roskilde Fjord, in Denmark. It was established in 1944 by a group of schoolteachers, and despite its declaration of independence being something of a joke, the 'kingdom' has continued. The island has its own monarchs, flag, coins and stamps, and even its own time zone, twelve minutes behind Danish time. You can visit Elleore's official website here (though it is in Danish) or read an entertaining article about the island micronation by clicking on the map below. Later this year, a conference on 'Island Cities and Urban Archipelagos' will be held in Copenhagen, Denmark.